THE TAYLOR DIARY: Guest Post: Meet Lauran from The Real Young Housewife of Southern Virginia! Guest Post: Meet Lauran from The Real Young Housewife of Southern Virginia! Hi friends! Today, The Taylor Diary is operating a little differently. There is a first for everything, right? 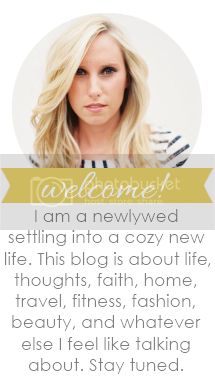 I want to introduce you to my first guest blogger, Lauran! She is from The Real Young Housewife of Southern Virginia blog. I just love her. And of course, we met on Instagram....through Sam Steele-Ponder to be exact. 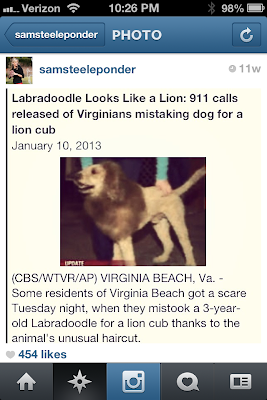 It is a long story but it has something to do with a dog, that looks like a lion...that is really a dog. Read on for details. Lauran is a girl after my own heart. She talks my language...and in this post she shares some amazing dupes for expensive beauty products. A few of these, I WILL be trying. Mark my words. I am so honored to have her join me today. She also let me take over her blog for the day so head on over to her blog and see my post, too! Hey Y'all!!!! I'm Lauran and I ramble on and on over at The Real Young Housewife of Southern Virginia!! Taylor and I have done the ole switch-a-roo today and are guest hosting for one another!! So whether you are here or there... WELCOME!!! Besides the fact that Taylor shares the same name as my little sister she also shares my love for Samantha Steele Ponder, which is how we met! We didn't start off as friends through blogging, oh no, we started out as friends through Instagram. On Sam Ponder's Instagram to be exact! If you don't know who Sam Ponder is, well you're living under a rock, or you just aren't a guys gal! Long story short, Sam is an ESPN reporter and a new wifey to Christian Ponder, the QB of the Minnesota Vikings! Below is Sam's photo that brought Taylor and I together! 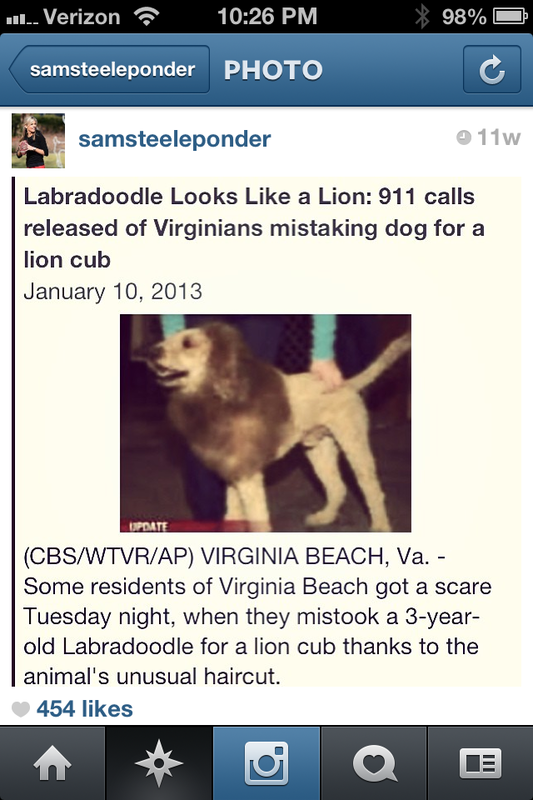 This was in my area, near my Alma Mater Old Dominion University, whose mascot is Monarch the Lion! Anywho, I told you I ramble! Now that you know how Taylor and I met, I'll get to what I wanted to share with yall today! Like Taylor, I love makeup, but sometimes I believe some products are just WAY TOO EXPENSIVE! Thank goodness for Pinterest who always seems to come to the rescue with tricks of the trade! I wanted to share a few I've run across, but have yet to try. I certainly plan to once my store bought brand name items run out! I am a religious user of Primer! I'm an even bigger fan of Smashbox Photo Finish Primer. This product will set you back about $36.00, but have no fear, Pinterest is here, with a much cheaper option! 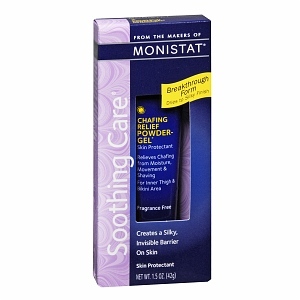 According to the blogger that this pin originated from, the Monistat Chafing Relief Powder Gel has the same active ingredients as those in Smashbox Photo Finish Primer. Even more shocking?! The Monistat costs around about $6.00!!! That's a $30.00 saving!!! You better believe once I'm out of my Smashbox I will be running to get this stuff!!! The next product I am a fan of that helps keep my makeup in place is Urban Decay's All Nighter Setting Spray! My makeup artist used this on me for my wedding and I've been addicted ever since! This spray will set you back $30.00 but of course there is a cheaper option for you! 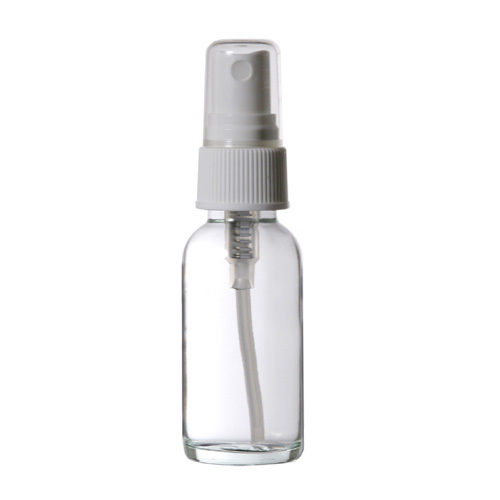 Make your OWN setting spray for as little as $6.00! Check out this link for the recipe! It's easy peasy and very nice on your wallet!!! Lastly, if you don't use a make-up remover of some sort, you should! Cleansers don't clean your face entirely of dirt and oil unless the majority of your makeup is removed! Brand name Make Up Removing Wipes can cost upwards of $30.00! These MAC wipes cost $20.00 for a count of 45 sheets! The cheaper option?! E.L.F. has makeup removing sheets!! $3.00 for 20 sheets! 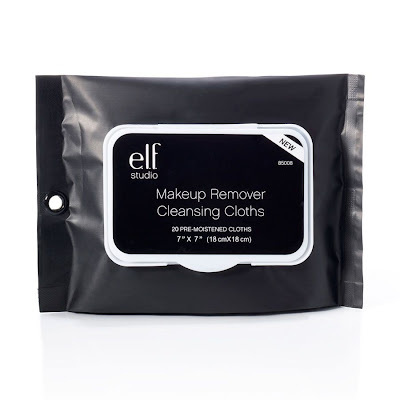 Granted it's a less count than MAC but you can buy two packages of E.L.F. sheets for just $6.00!! You simply can't beat that! Can you believe these cheaper alternatives!? As a baller on a budget I am actually looking forward to trying out these champagne style options with a beer budget price tag! I think Taylor, being the cosmetic guru junkie she is, should give them a try too! Now that you all have a list of my new cheap-o must haves, come visit me anytime in my neck of the woods! I'd love to have you!!!! I can't thank Taylor enough for having me guest post today! She most definitely is one of my most favorite blog land people!!! Make sure you check out her guest post on my blog today!!! XoXo!